The boxing ring seems to be having an inspiration with these designers for Spring 2015. It’s part of an athletic trend that is showing up in other categories of clothing. 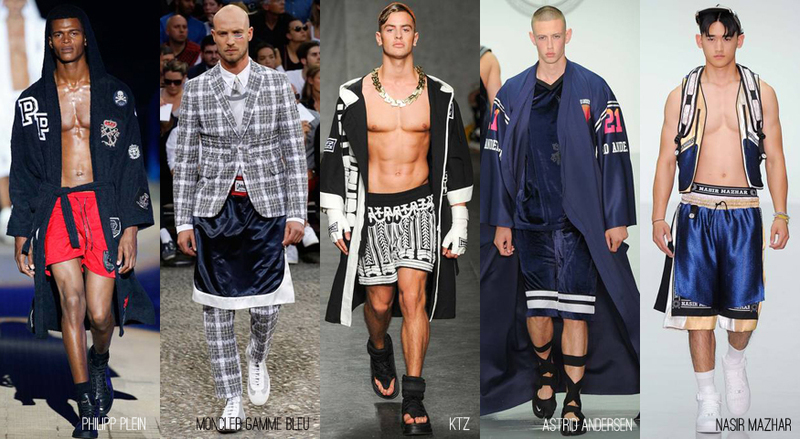 Whether it’s “skirted” boxer shorts under a suit jacket or boxing robe, these designs create an alternative edge to mens styling.